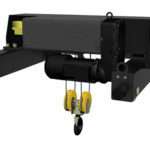 Engine hoist is used to lift and carry heavy loads anywhere you want. With an electric engine hoist in hand, you can save lots of time and free labors from busy transporting tasks. 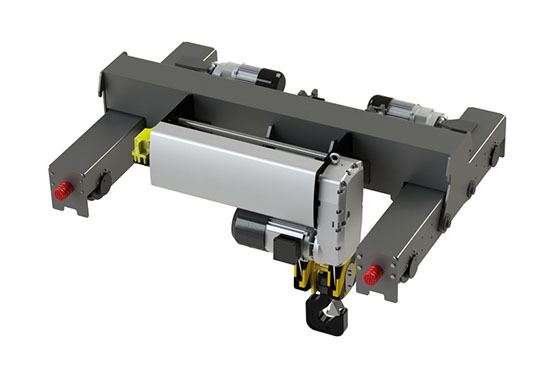 Engine hoists can be assembled in plenty of cranes or hung on joint steel to lift heavy loads in straight line and curve. Except that, electric hoists can also be fixed on a support structure to lift and winch loads in vertical movement or in different angles. 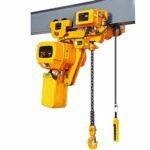 Ellsen is the leading power among many electric hoists manufacturers in China, as the most professional and famous group, Ellsen promises you that you can get a high quality hoist in the cheapest price if you send your free inquiry right now. 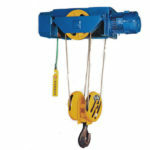 This types of hoist can be used in the building site of railway, port, garage, warehouse and mine industry. It is the necessary hoist mechanism to change labor environment and raise efficiency because of its cheap price and high popularity. 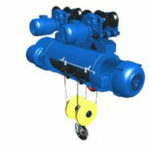 Engine chain hoist is one of the best seller hoist among types of engine hoists. This hoist has scientific structure, for it only consists of chain circle, transmission units and hoist motor. 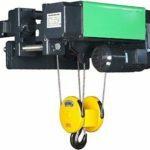 You can choose chain engine hoists for two reasons: firstly, chain hoist can save the space, especially suits for plant limited by the height of ceiling; then, unlike, wire rope electric hoist, chain engine hoist raises its rated capacity by increasing the number of chain units. 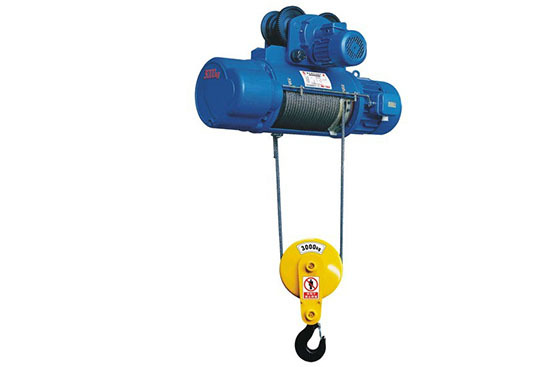 If you want a double speed hoist, you can choose wire rope engine hoist. 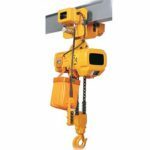 This hoist is made up of three parts including lifting mechanism, running gear (not include fixed hoist) and electrical installation. 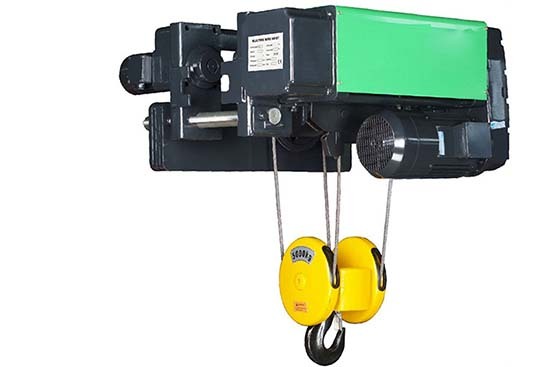 Lifting mechanism is connected by coupler through reducer, in this way hoist drum can move. Finally, the wire rope tied on hoist drum drive hook device go up and down. Running gear is made up of electric trolley, motor, reducer and driven car. Hanging hoist do reciprocating motion along I beam of hoist frame. The lifting speed is 20 m/min, sometimes it maybe 30 m/min. When the lifting altitude of a 1 to 5 tons hoist is higher than 12 meters, you need to increase a driven car for the hoist. The electrical installation is controlled by electric cabinet, switch and button, limiting stopper and connecting lead. 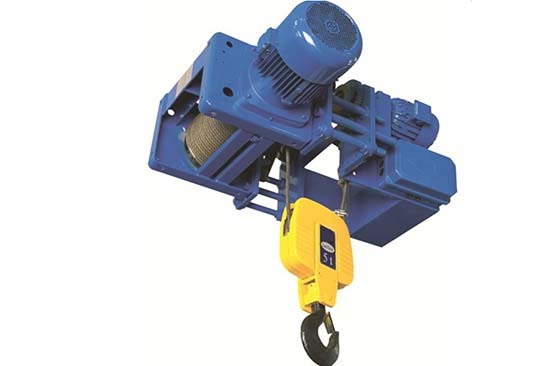 Generally, the operating rated voltage is 380V or 36V, if necessary, we will provide you the customized hoist according to the voltage you need. 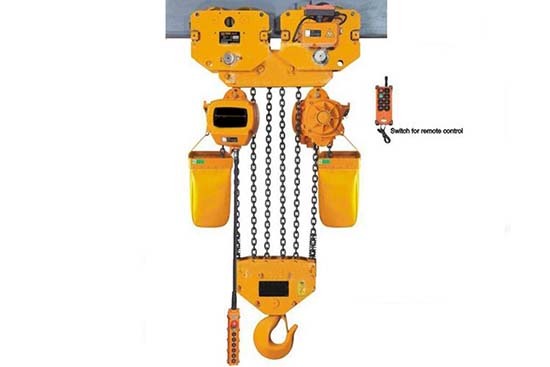 After you received the engine hoist, you can operated your hoist by the marks and tips on button. 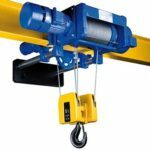 Under the brief introduction of engine hoists, you can use them to finish the transporting tasks. Why choose Ellsen as your hoist equipment supplier? Ellsen is the famous hoist equipment supplier In China, products of Ellsen win good reputation for us since they put into market. Many customers like you build long time cooperation with us. Choose us means you choose high quality engine hoists, economical price and professional service. 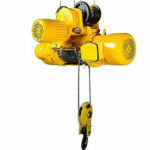 Want a electric engine hoist? contact us now!